If you want to submit a blog to be posted on The Real Sports Talk, send it to therealsportstalk@gmail.com, and if it is good enough it will be posted. The Real Sports Talk is committed to bringing sports fans reaction from all over the sporting world, in a professional, but yet passionate fan type manner. It’s like you and your buddies talking about sports, only with grammer, puncuation, paragraphs, and well–no cursing. TRST also brings videos to the sporting world at YouTube.com/MrKellstar. While we do have a few set bloggers, we also accept freelance bloggers. 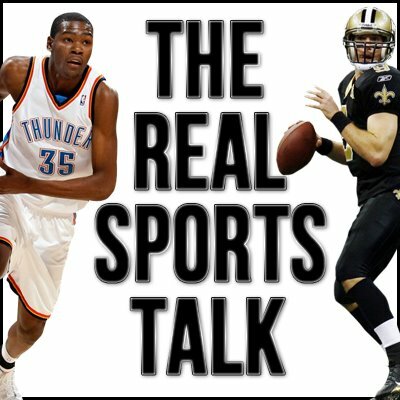 Send any articles you wish to submit to TRST to therealsportstalk@gmail.com. There is no guarantee that your article will make it onto TRST. Please Follow TRST on Twitter, and Like our Facebook Page. Also utilize the share buttons. If you like an article or video that you see on this website, please share it on Twitter, Facebook, Tumblr, or any other social network. If you have any questions please contact TRST owner Tim Kelly by email at therealsportstalk@gmail.com or on Twitter @KashKelly_TRST. Thank you for your support of TRST, and please visit again!